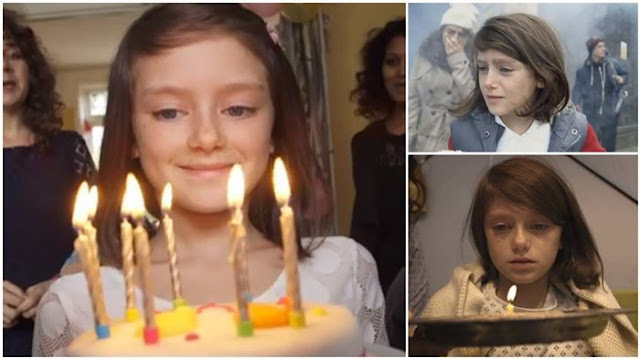 How One Girl's Life Is Turned Upside-Down From One Birthday To The Next! This video shows what happens to a young girl in a First World Nation when war enters her life. It helps us to understand what war feels like to other children around the world who are being affected by war today. Bringing the imagery of war into a context that we understand (while it is disturbing and tear-evoking), is good for us in unaffected war areas of the world--because it gives meaning to a topic that we could have otherwise easily avoided. Save the Children is the world's leading independent organization for children. They are dedicated to helping children understand the rights they are entitled to under the UN Convention on the Rights of the Child. Have a look at this video that uses the video style called "second a day" which takes one second from every day over a period of time and compiles them into one video. Please visit Save the Children online here for more information on how you can help.